Hello! Today is the last day of Lawn Fawn Inspiration and Release Week, all the new products will available for purchase starting tomorrow! But we did save the best for last in my opinion. I really love the new Woodland Critters Huggers die set and it's even better that there are parts to create lots of different critters from the same set! You can cut these little guys from cardstock but I wanted to try something a little different so I cut my pieces out of felt and did some stitching! I think he turned out really cute and I'm looking forward to making him some friends very soon. 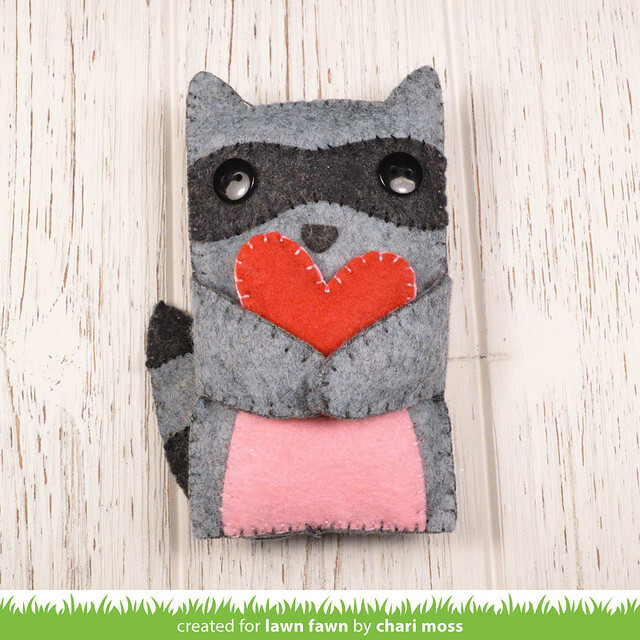 Be sure to check out the Lawn Fawn blog for more Woodland Critter Hugger projects and see the new stitched gift card pocket die that works with these cute little critters! 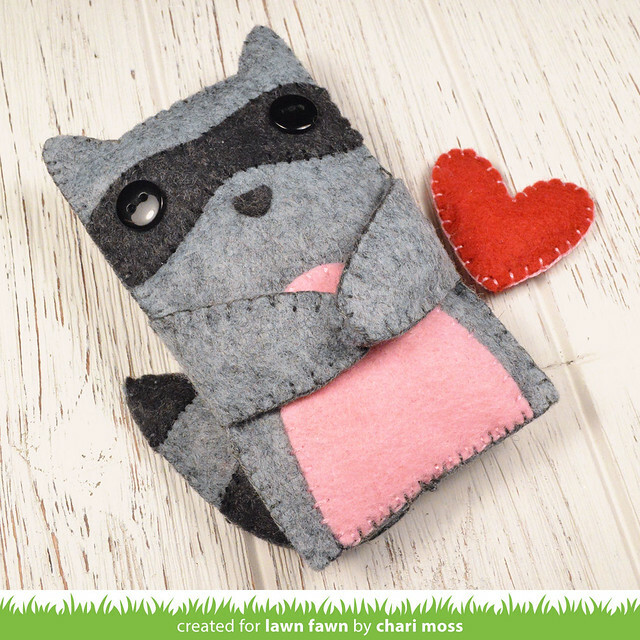 I just got my dies and I totally need to find my felt now! So cute!